My second thought was back to a piece of advice from Trish’s new ebook Sales Onboarding: the express route from hire-to-revenue. So heading over to Amazon, I was blown away to see the Jobs book at #2 in the Top 100 Books (not just business books – all books). there's a pretty good chance that they’re plugged into the Jobs book too. Clearly where the rubber meets the road is in using this common reading in your selling process. I certainly don't have a magic bullet, but am reminded of a recent post by David Skok at For Entrepreneurs blog: When Selling is the Worst Way to Win Customers. Adding Value is often best done in an orthogonal way. Many times the way I added value was not directly associated with the product I was going to try to sell them later on. For example, I might pick a much higher level topic of some mega-trend that was affecting their business segment, and discuss how other companies in their segment were tackling that issue. The value would be the insights into their peers or competitors. 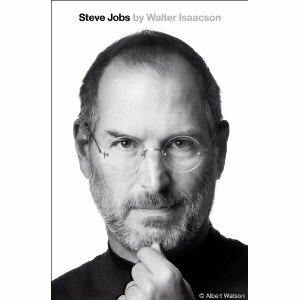 So there's my quick thought on this short week: if your Buyers are reading Steve Jobs, you should too. Try adding value in "an orthogonal way". You will definitely stand out from the pack. We're going to implement a more formal Buyers Book Club here at The Bridge Group. We’ll let you know what we learn along the way. I'd love to hear your feedback if you do the same!